International Language Program (ILP): FREE Food + $5 for coming to info meetings! 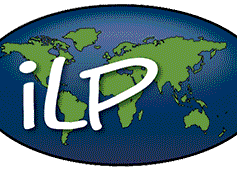 Learn about International Language Programs (ILP) tonight at some of their info meetings! Come to Kiwi Loco for FREE frozen yogurt + $5 or Pizza Pie Cafe for FREE Pizza + $5 on Thursday, March 14th, at 1:30 p.m. & 3:00 p.m. to learn more about ILP! Learn more about ILP on their website web.ilp.org/explore.